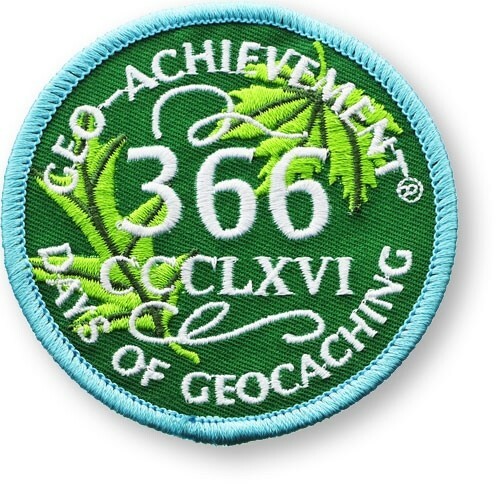 This elegant embroidered Geo-Achievement patch is perfect for awarding to your friends or family at their geocaching achievements. This elegant embroidered Geo-Achievement patch is perfect for awarding to your friends or family at their geocaching achievements. You can also use them on your backpack, bags, shirts, jackets, hats, or more to show off your cache finds achievement; go ahead, you earned it. Collect the entire set to show your milestone progression. The patch measures 2 3/4" diameter (70mm). Made with durable thread and colors, this patch will perform well while geocaching in outdoor environments.